I’m completely mad for Julie and Rob’s dynamic, fun color palette of…every color in the rainbow! Along with talented planner Michelle Engvall of Married & More With Michelle, they designed a day that combined a traditional church ceremony with a modern, sleek reception at the very urban Within SODO event space. They included a lot of white in their palette so that their wild range of colors would pop, and the end result was gorgeous photos by Benj Haisch! Was there a decor theme that ran through your wedding? What was the inspiration for that particular idea and how did it reflect you as a couple? We wanted a very clean modern look, with a nod towards a travel theme. We both love bright colors so we went wild, mixing lots of colors. What were some of the different ways you used decor elements to create the beautiful, cohesive event you were envisioning? The flowers were amazing…so many different colors and sizes. They really made the tables! Another thing I loved was the beautiful cake pop design that Julie, of Bella Rugosa, and Divine Confections teamed up to make. Julie created boxes with green grass for the white and yellow cake pops that Divine Confections made. It was a very fresh effect for the dessert table. Where did you choose to hold your wedding, and how did the location influence your decor decisions? We initially wanted to do one location for the whole event, but eventually decided on a church wedding with a rooftop/loft reception at a different location. The juxtaposition of the traditional church to the modern venue was really fun. I feel like there were two very strong elements to our wedding: we honored our traditional backgrounds while still letting our hair down to celebrate the day with our friends and family. Looking back, do you have a favorite project or successful decor idea from your wedding? Tell us what you loved about it! There were so many elements that came together, but I was particularly proud of the luggage tags and how they turned out. I wanted something really bright and fun, and I feel like they turned out exactly how I pictured them. My other favorite idea was from my caterer. We did a smore bar at the end of the night and that was such a great addition to a Seattle evening in between dancing and a photo booth. Thank you Julie and Rob for sharing your gorgeous wedding day! 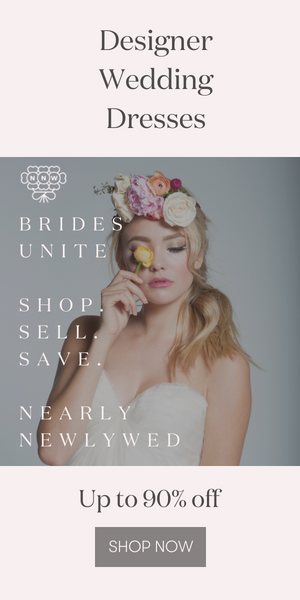 Readers, planning your own Seattle wedding? Be sure to visit our Seattle planning resources page to find the best in the business! Love Benj! What a beautiful wedding! Your work, as always, is amazing!! Great job! So fresh and clean! Benj’s pics are the bomb, and I love the couple’s color pops — especially her pink necklace! Love all these bright, fun colors paired with a travel theme! What a beautiful day! Okay, that is the cutest wedding I’ve seen in a long time (and I look at a lot of pictures of cute weddings!) The modern/traditional juxtaposition was lovely, and colors and details were perfection! Well done all around. Love all those beautiful flowers, all the decorations – oh yea, and his socks:} Wonderful images from the photographer. I love the bag tag idea – where did she find those!? agreed LOVE the luggage tags–I have been looking everywhere for them! Where did she find those? Wow!! What a nice wedding. They looks very fresh and timeless. I love the Balloon most. It looks very stunning. Thanks for sharing. Any idea where the luggage tags are from?! Would appreciate it any info. Trying to find where you guys got those luggage tags? Help anyone? !